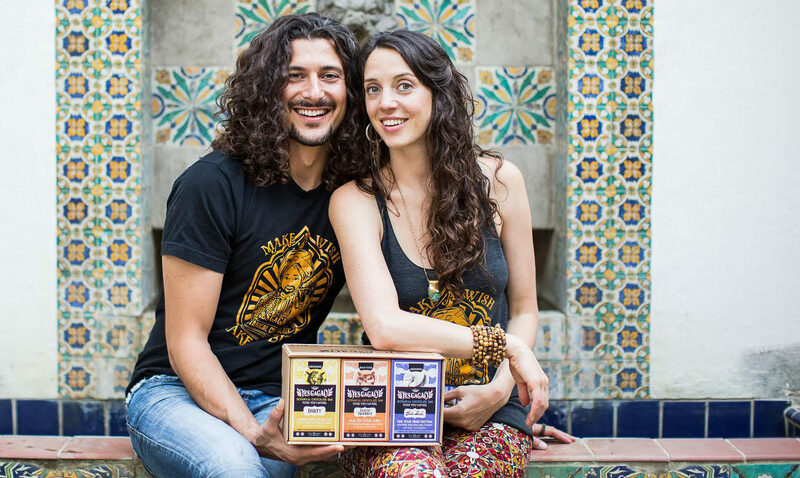 Justin Frank Polgar and Zoë Segal (AKA the Minister of Chocolate and Director of YES) are in love with their botanical chocolate bars. It’s the rare entrepreneur whose company’s origin story goes all the way back to potty training. Based in Santa Cruz, Yes CaCao offers “functional chocolates,” meaning that in addition to providing that pleasure-seeking hit we all crave when we take a bite of chocolate, the product becomes a delivery mechanism for botanical remedies said to aid relaxation, endurance and memory. But back to potty training. 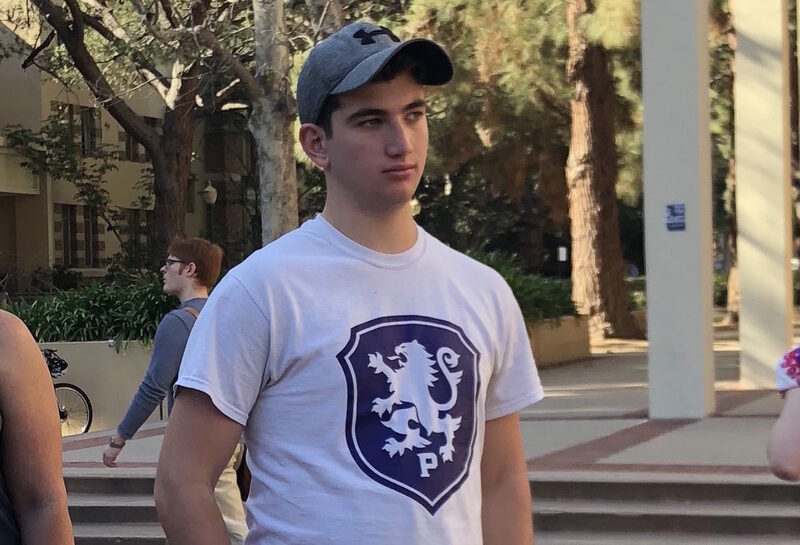 Polgar, 35, grew up in Sunnyvale where M&Ms were used as a reward for a job well done, though he called that household practice more of a “signpost” than an indicator that he would end up in the chocolate business. Another childhood signpost? His favorite part of Shabbat services at Temple Emanu-El in San Jose was the oneg, specifically the sweets. Yes CaCao says their cholocalte bars aid relaxation, endurance and memory. “I was in the choir and liked singing, but really, the whole point of it was to get to the oneg, as I’d get really hopped up on sugar and run around with my friends,” he said. When Polgar was 12, he was introduced to ginseng when a classmate in his tae kwon do class — he is a serious student of the martial art, with a third-degree black belt — offered him a taste. “I didn’t know I could have so much energy and feel so clear. It filled with my body with this big ‘yes,’” he said. That discovery piqued his curiosity about other edibles that might have similar effects. But chocolate was always a favorite, and he decided to learn about how it was used in other cultures. “It was considered a food of the Gods, as well as a sacred food for thousands of years,” he said, noting that the ancient Mayan medicine people would grind up herbs into a drinkable form of chocolate and give it to warriors going into battle or women about to give birth. A former girlfriend showed him how to make chocolate, and he began combining it with herbs as a hobby. Later, he worked at a school for Chinese medicine, where doctors in the lunchroom often discussed how their patients wouldn’t take their prescribed herbs because they tasted so bad. Inspired to create a delicious delivery system, Polgar started his company in 2014. While he has no formal training in the field, he has been experimenting with these formulas for decades. Yes CaCao features three types of botanical chocolate bars blended with herbs, teas, flowers and superfoods, and their effects are cumulative, he said. Some ingredients are more common, like turmeric, fennel and gingko biloba, while others are less well-known, like bacopa and shilajit. They can definitely be detected in the chocolate, subtly affecting its flavor. “All of our ingredients come from scientific studies, and these things have been used not only in Western medicine but some going back for thousands of years, in ancient Egypt or by the Mayans,” he said. He sources his chocolate from Ecuador, where it is harvested from the jungle. Polgar’s wife, Zoë Segal, who saw him through the launch as his girlfriend, runs the company’s marketing. She has a background as a doula, a hospice care worker and a counselor for adolescents. She is the daughter of Rabbi Natan Segal, founder of the nontraditional Shabbos Shul of Marin (its heyday was in the 1970s and ’80s) who now lives on the Big Island of Hawaii. When Polgar visits North Berkeley or Marin to do demonstrations for Yes CaCao, he often will meet a Jewish couple of a certain age who were married by his father-in-law. Yes CaCao is now in 140 stores across the U.S. and recently expanded to 50 new markets. Polgar said the company was helped greatly with a loan from Hebrew Free Loan. Yes CaCao can be found at many health food and alternative grocery stores throughout the Bay Area, or on its website, yescacao.com.